You’ve probably seen that meme that says something like, “A clean house is a sign of a broken sewing machine”. My house is usually a bit of a mess, and my sewing machine works just fine, so perhaps there’s some truth in this! But I don’t believe that it’s all down to having a fully functioning sewing machine. It’s also due to the fact that there are 6 messy people living in quite a small house. In an effort to get the mess under control, we have had several deliveries from Ikea and I am usually in the middle of a sort out. One of the recent deliveries included a new shoe rack. 6 people means a lot of shoes, especially in my husband’s case. He seems to have 4 times as many as everybody else, me included! The old shoe rack had 2 shelves and I was wedging the shoes into it, only to lose them under the piano. The new one has 4 shelves, so a lot more room, but unfortunately it’s an eyesore. When hubby put it together and put all the shoes on it, I wanted to cry. It was like we lived at a bowling alley with all the shoes in the shelves. I posted a picture in Instagram if you want to see how bad it was! Anyway, I don’t like to feel defeated, and this kind of problem is usually solved by a little bit of ingenuity. So I had a think and a poke around and now the hideous eyesore of shoes looks like this. I used a shelf I found upstairs, bought ages ago but never used, some stick on velcro and a couple of metres of pretty fabric. 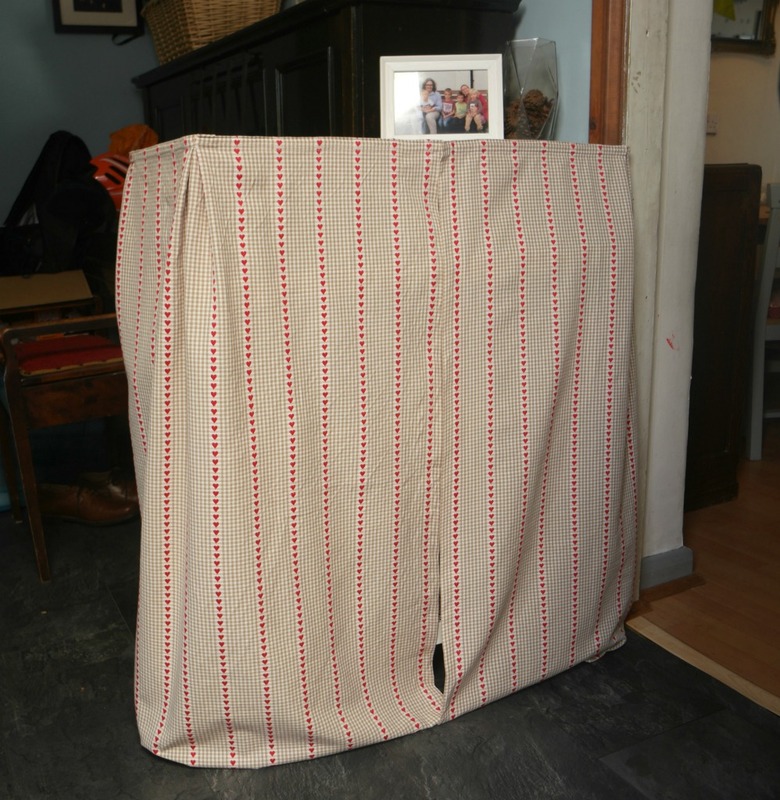 This strategy will work for all kinds situations, so if you need to hide an eyesore, this may well work for you! 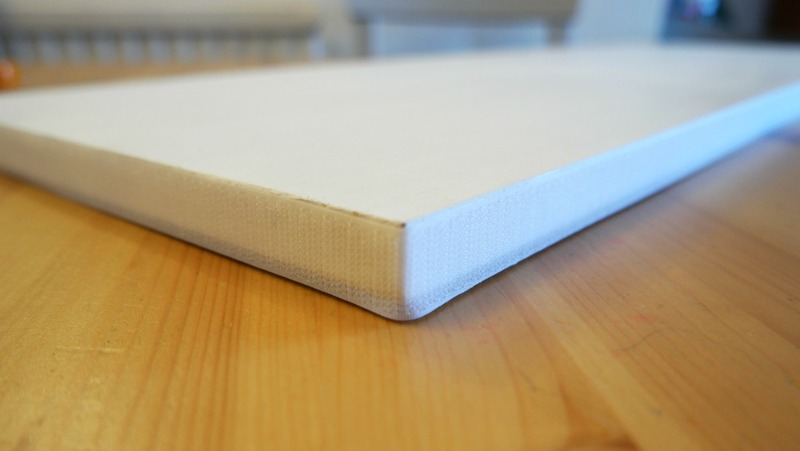 Fabric (something heavier is best, but you could always line it or use interfacing), a shelf, stick on velcro, paint (optional). 1. If you need to paint your shelf, do that first. I used some Annie Sloan chalk paint that I had left over from something else. It dries very quickly and doesn’t smell bad, but it will need waxing. 2. 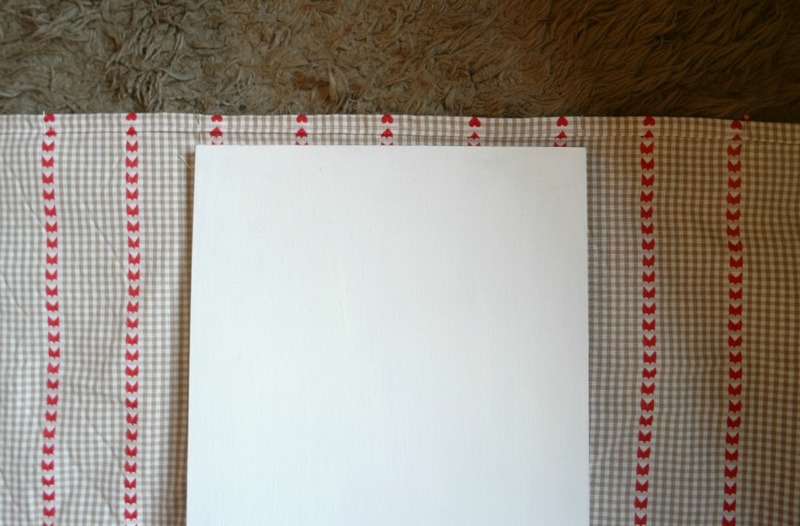 Cut your fabric to the right size. 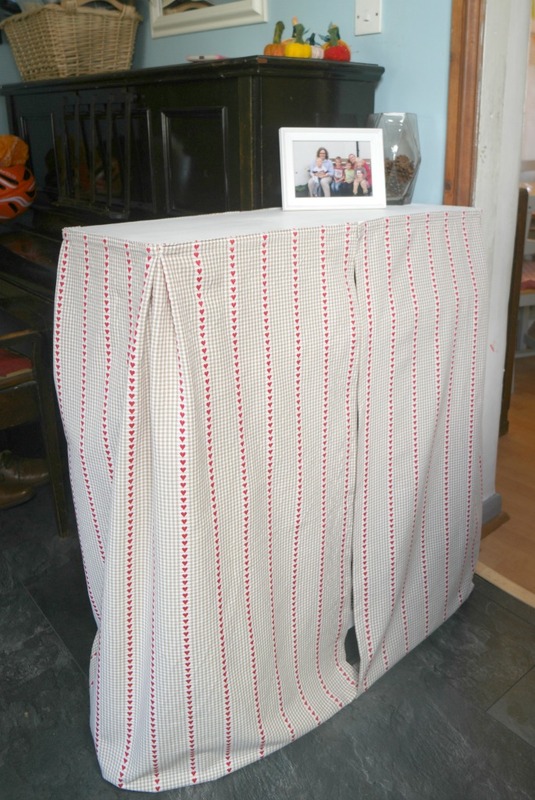 It will need to be wide enough to go around the shelf, plus seam allowance and a bit extra for pleats if you want them, and long enough to cover your eyesore. 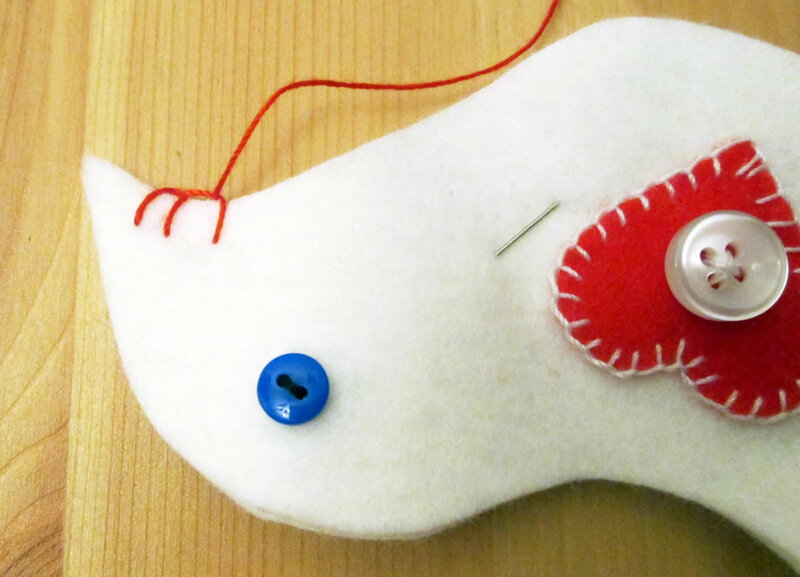 You might need to sew several sections together. 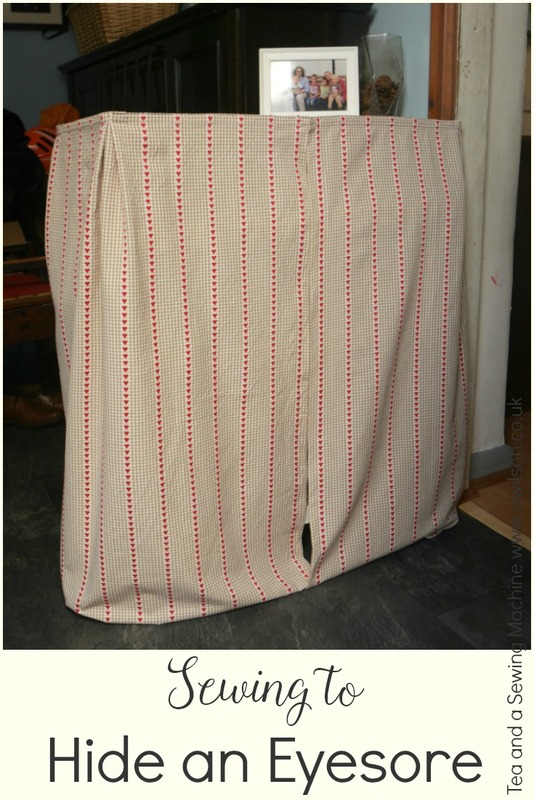 My fabric became the right size easily when I cut in half then sewed both halves together. 3. Hem the top, bottom and sides. 4. I added some pleats at the corners. 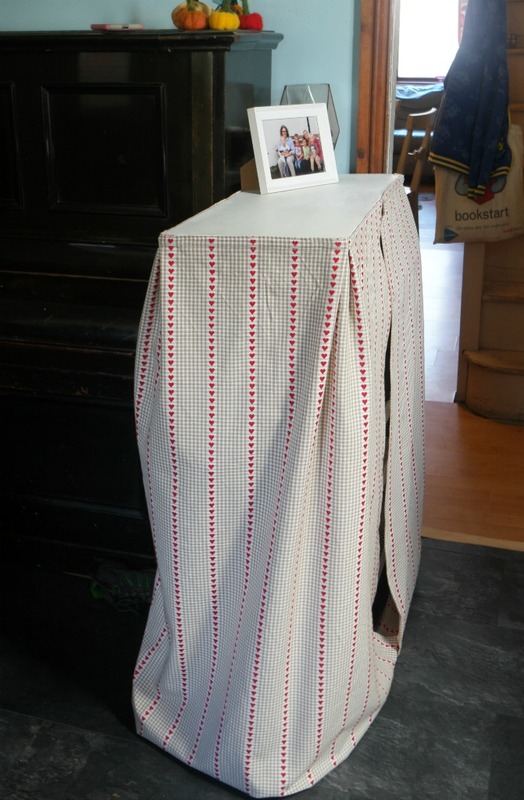 You could miss out this stage if you don’t want pleats or don’t have time or enough fabric. Line up the centre seam with the centre of the long edge of the shelf. Mark where the corners are with pins. Line the sides up with the centre seam. Using where you’ve already pinned as a guide, pin where the front corners are. 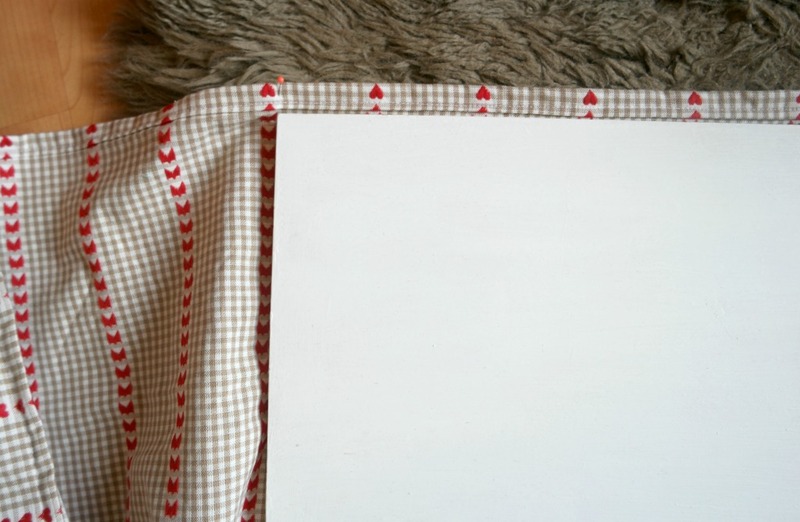 Find the centre of the short edge of the shelf and match it up on the fabric with the midway point at the side between the corners. Using pins, mark the corners. Repeat for the other side. 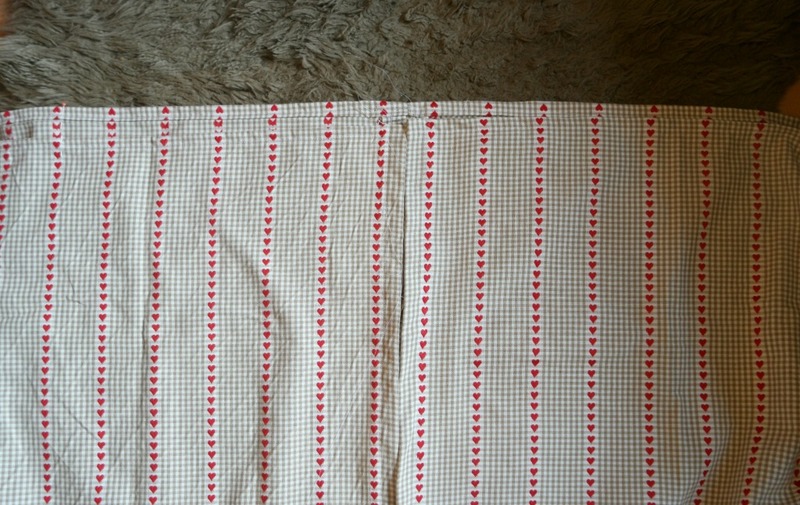 This fabric between where you marked the corners is the extra you have to make the pleats. Fold the fabric so that the corner pins are together and the right sides of the fabric are together. Squish the extra fabric flat. 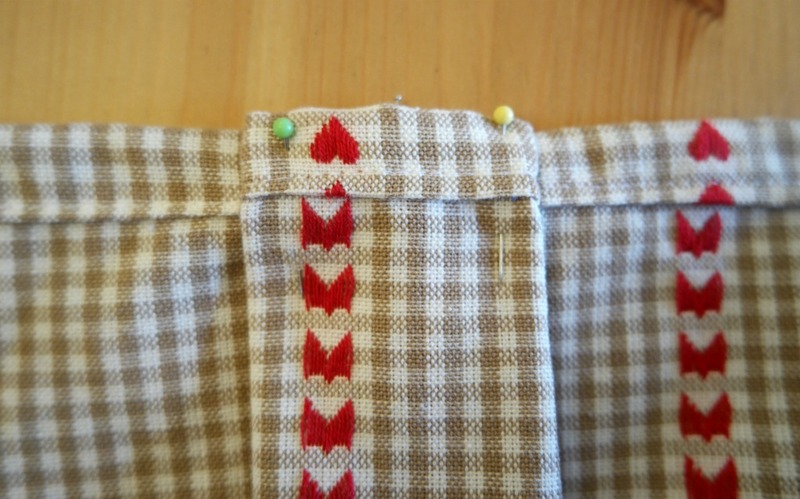 Sew the pleat in place. Repeat for the other pleats. 5. Take one piece of the velcro and stick it to the top edge of the curtain. It probably won’t stay stuck down, especially if you wash it, so sew the velcro to the fabric. 6. Stick the other half of the velcro to the edge of the shelf. 7. You’ll need to think about how you’re going to use your shelf. I thought about getting blocks of wood or square brackets and attaching them to the top of the shoe rack, but in the end I didn’t so the shelf is balanced on my trainers! 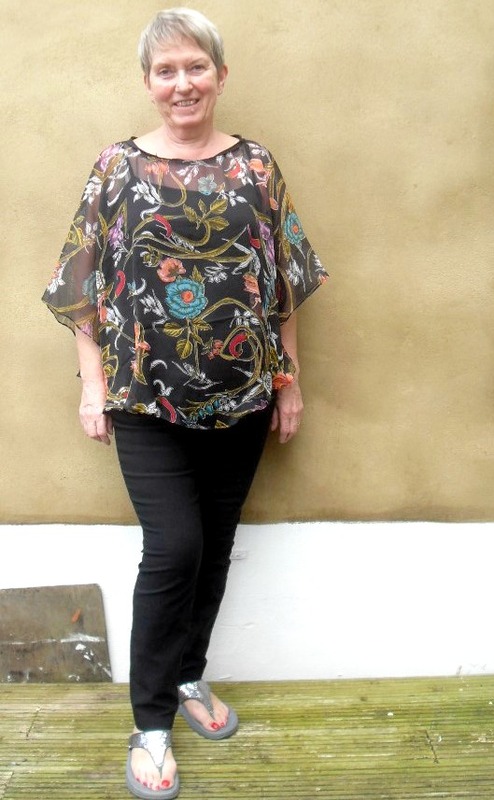 This is a guest post by my mum, who is going to show you how to make a top from a scarf. My mum has been sewing for a very long time. Her mum taught her, just as she taught me. 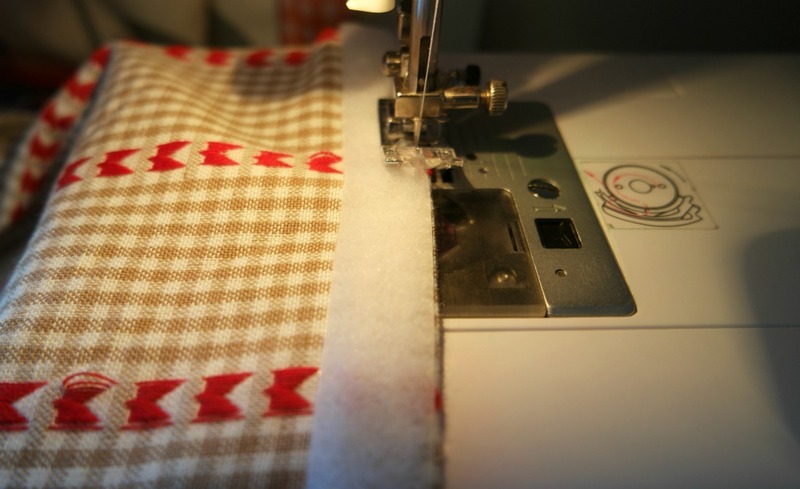 The soundtrack to my childhood would feature the hum of the sewing machine! She made countless little dresses for my sisters and I. I remember a little green party dress with pintucks on the front, school photos of my sisters and I wearing dresses that were similar but not the same! I remember trips to the department store to choose fabric and patterns that my mum would whip up into outfits. She would even make coats for us and knit or crochet matching hats. 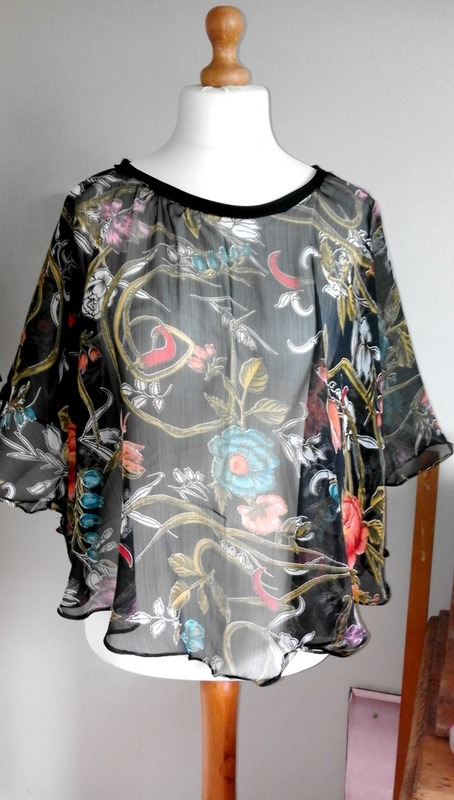 This is a tutorial showing how to make a floaty kind of top from a scarf. This is a nice thing to make if you like pretty scarves but you don’t really wear them! 1 scarf (the one used here was 180 cm x 110 cm), bias binding, usual sewing supplies. On a recent trip to Italy, I was impressed by the brightly coloured fabrics and floaty styles characterised by the fashion of the area. 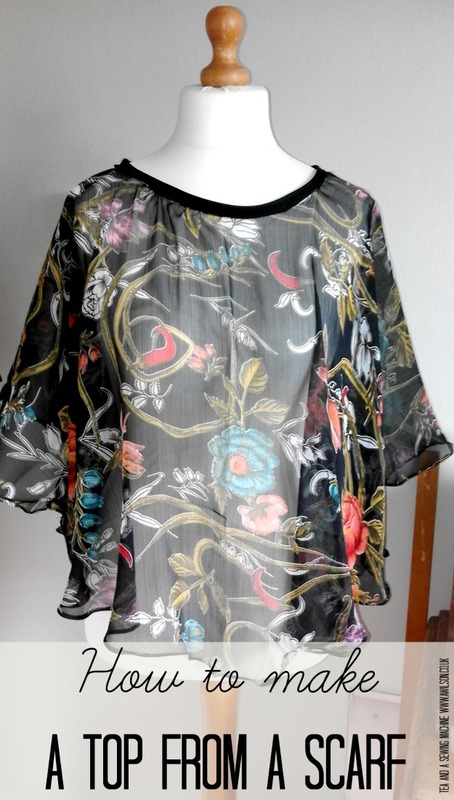 While there I bought a large scarf (180 x 110 cm) to make a top in this style. 1. Fold your scarf in half widthways, then in half lengthways. Cut from about 20 cm down to the opposite corner. The line that you want to cut is marked in purple on the diagram below. 3. 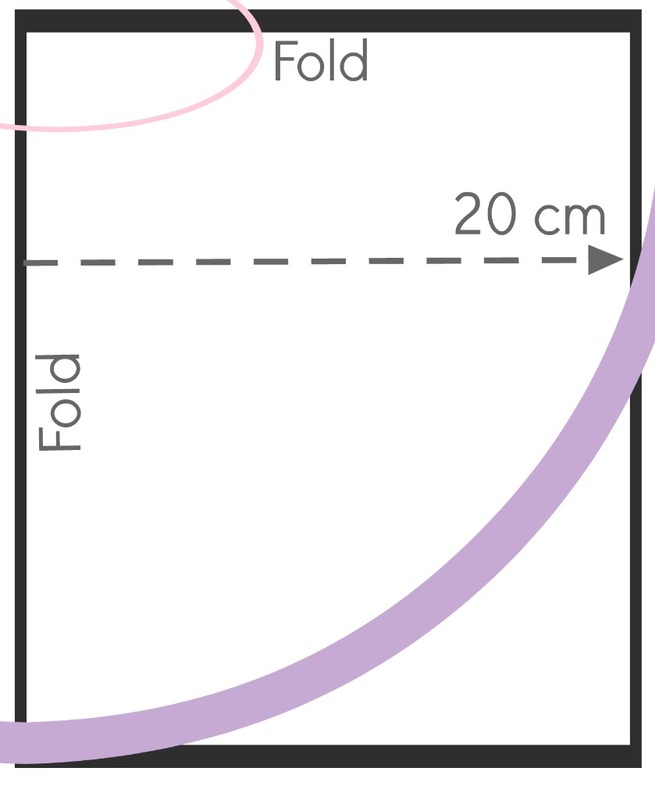 Cut off the folded corner, 5cm off the long side of fold and 15cm off the short side to make the neck hole (this is marked in pink on the diagram). 4. Bind the neck hole with bias binding or stretchy fabric. 5. 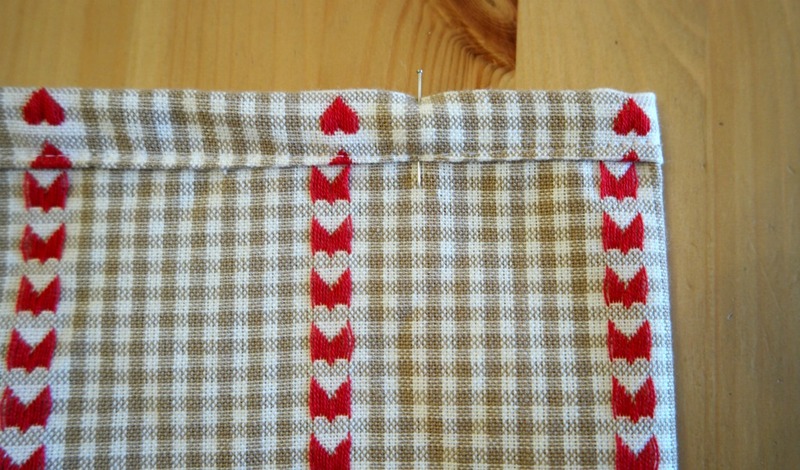 Finish the lower edge with a Rouleau hem. This is easiest to do with a rolled hem foot. They have them on Amazon here (affiliate link). 6. 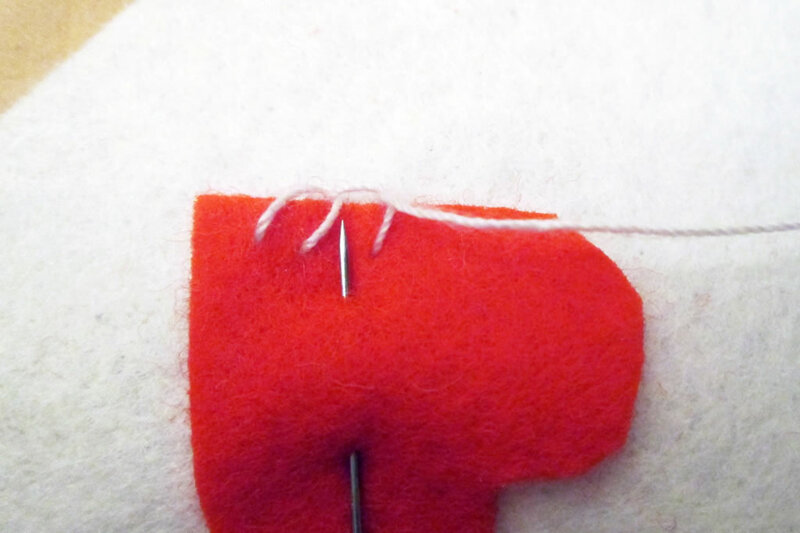 Catch the sides at the bottom of the straight part of the edges (see diagram above) to make armholes. 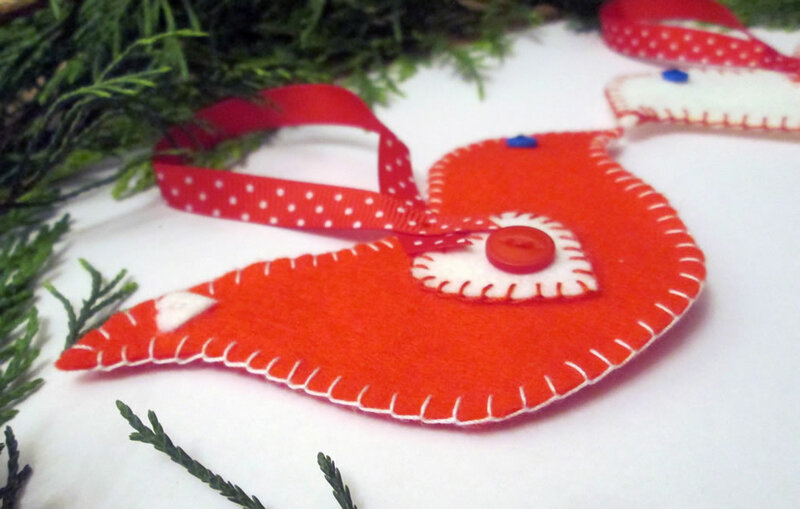 Now that we are almost into December, I have launched myself into Christmas crafting with a felt bird Christmas decoration. The problem I find with Christmas crafting is that the kind of thing you can make is more limited than the rest of the year. 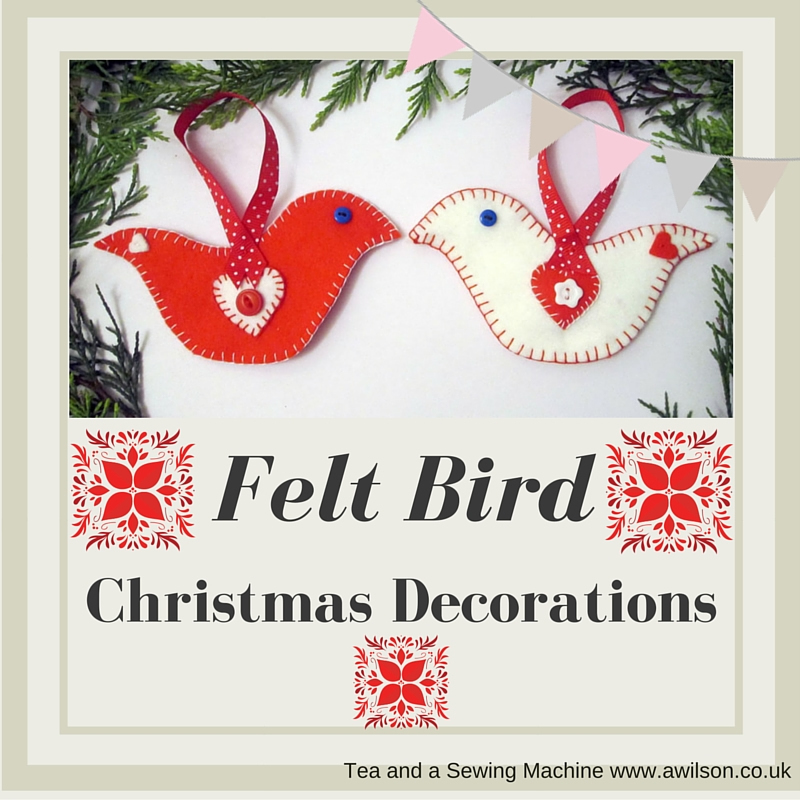 It’s fun to make things at Christmas, but how to make something that is different to what you have made in previous years so that you don’t just end up with more of the same? Some Scandinavian fabric bought recently provided me with the inspiration I needed! 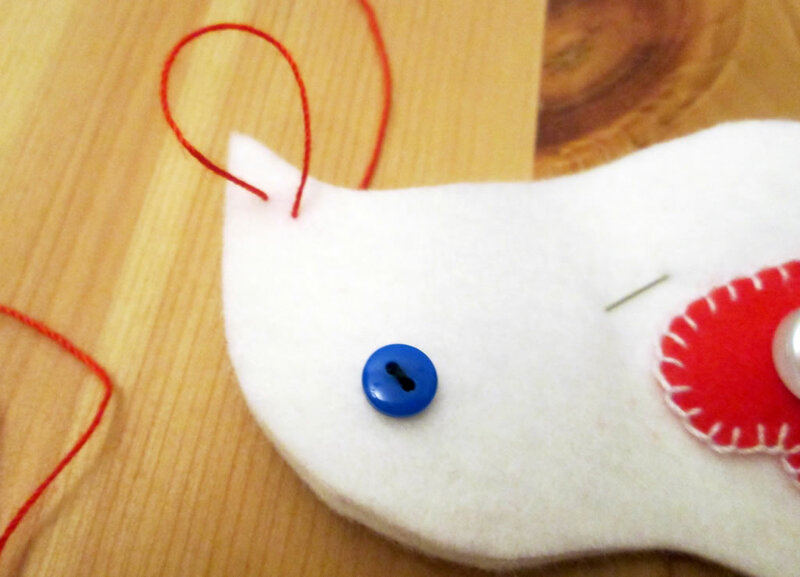 This felt bird is easy to make and doesn’t require a sewing machine. 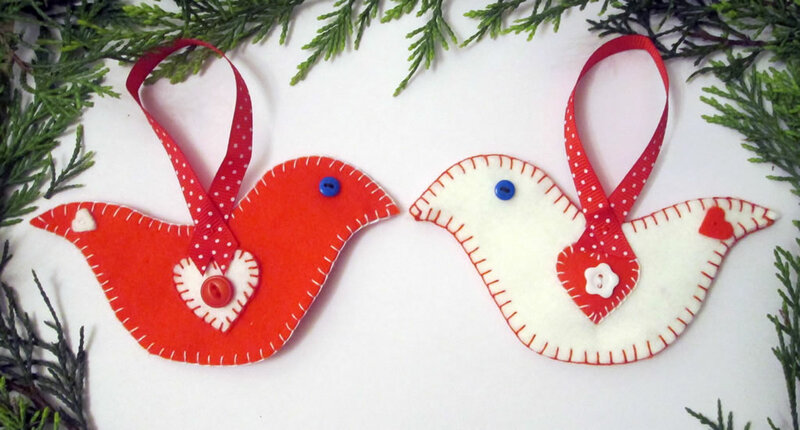 If you would like to buy a kit to make these birds, either for yourself or for someone else, you can get one here. I’ve included links to Hobbycraft for the stuff you need, in case you don’t have the stuff already and, like me, you prefer to shop without leaving the house! They are affiliate links. 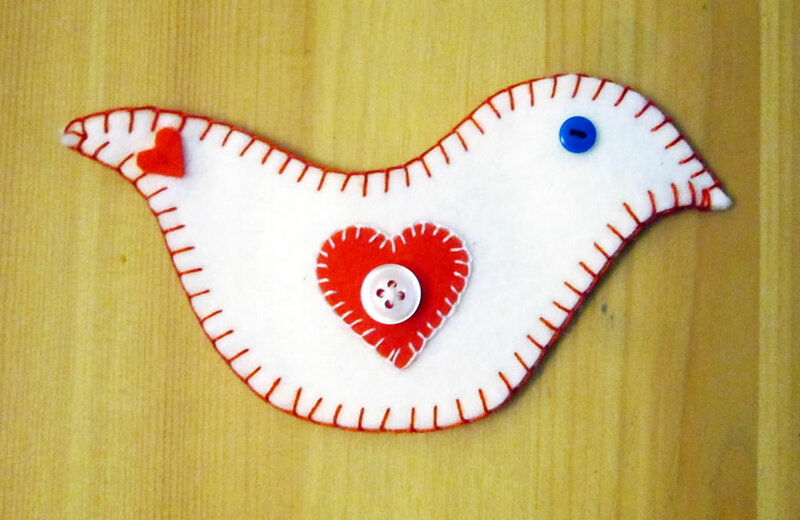 You Will Need: red felt and white felt, bird template, buttons (2 each of 2 styles unless you don’t mind the sides not matching), embroidery thread in red and white, needle, a small amount of polyester filling (optional), ribbon. The templates for this are available here as part of the Christmas bundle. 1. Make or print out your bird template. You will need 2 birds, 2 hearts to go on the centre of the bird and 2 smaller hearts for the tail (you could leave those off if you wanted). 2. Cut out the felt pieces. 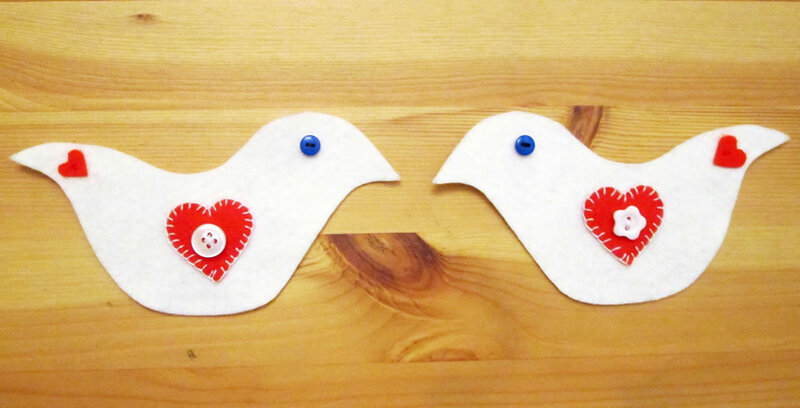 You will need 2 of the bird pieces in one colour, then the hearts in the 2nd colour. 3. 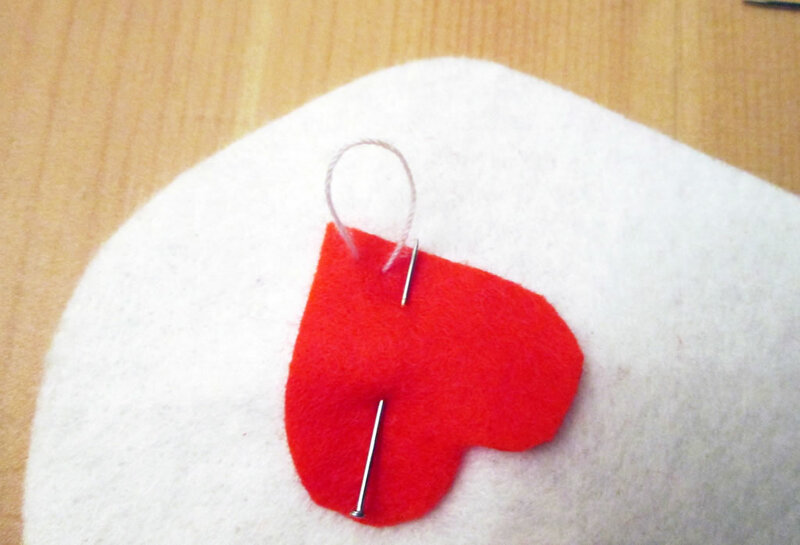 Pin one of the larger hearts to the centre of one of the birds. 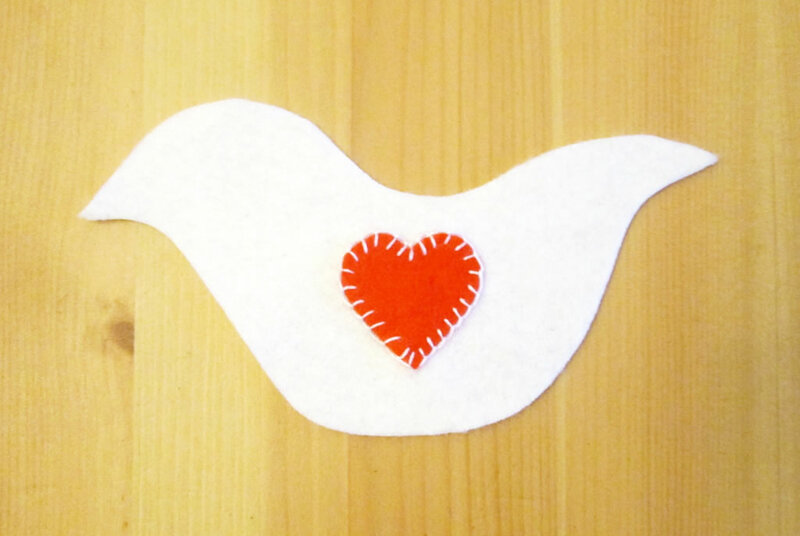 Using blanket stitch, sew the heart to the bird. 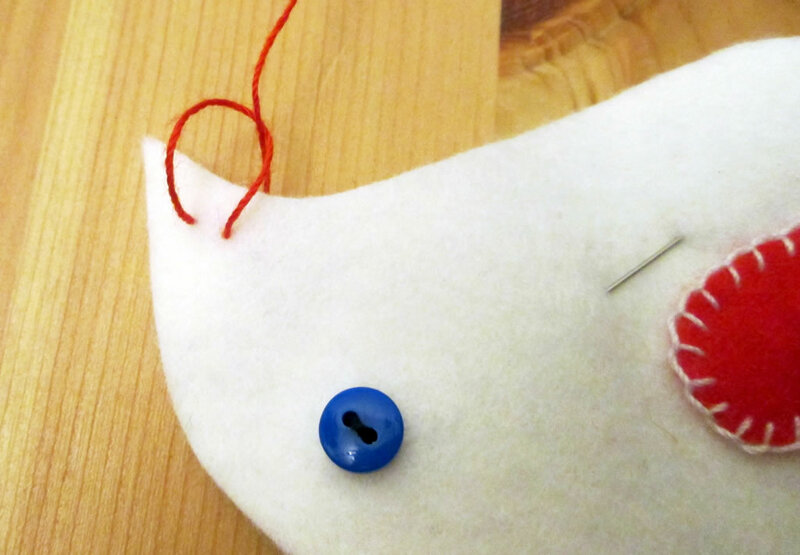 To sew blanket stitch, put the needle through the felt wrong side to right side, then back through the right side to make a loop. Don’t pull it tight yet! 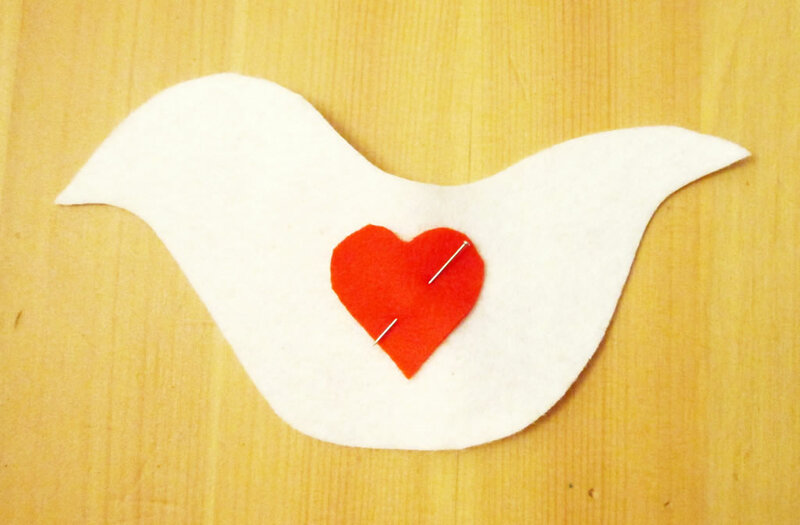 Bring the thread up from the wrong side to the right side of the bird at the edge of the heart, not through the heart. 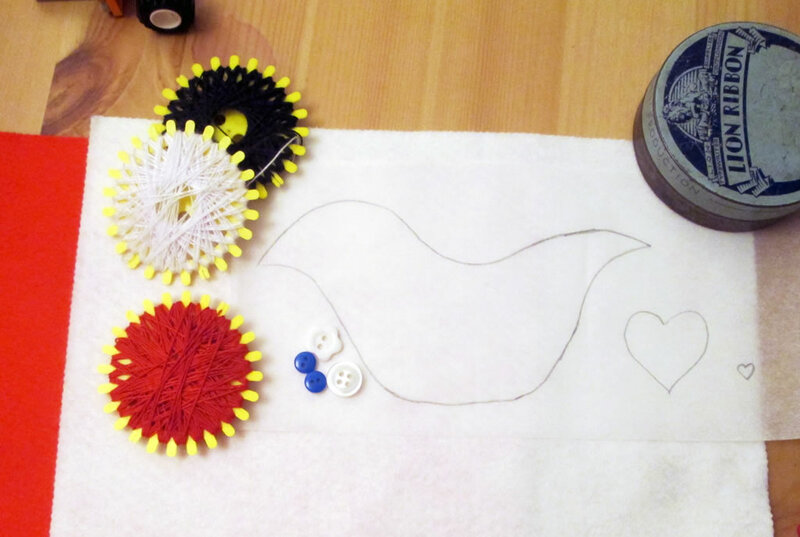 Bring the thread through the loop. Now pull it tight. Put the needle through from the right side. Bring it through the loop from the wrong side and pull it tight. Keep going in this way, through the right side to make a loop, back up through the bird, through the back of the loop and pull it tight. 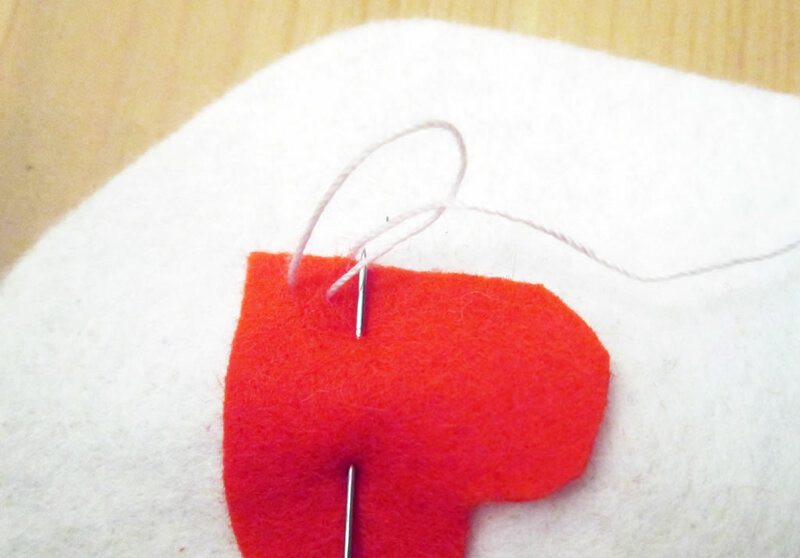 The top of the stitch should sit on the edge of the heart. 4. 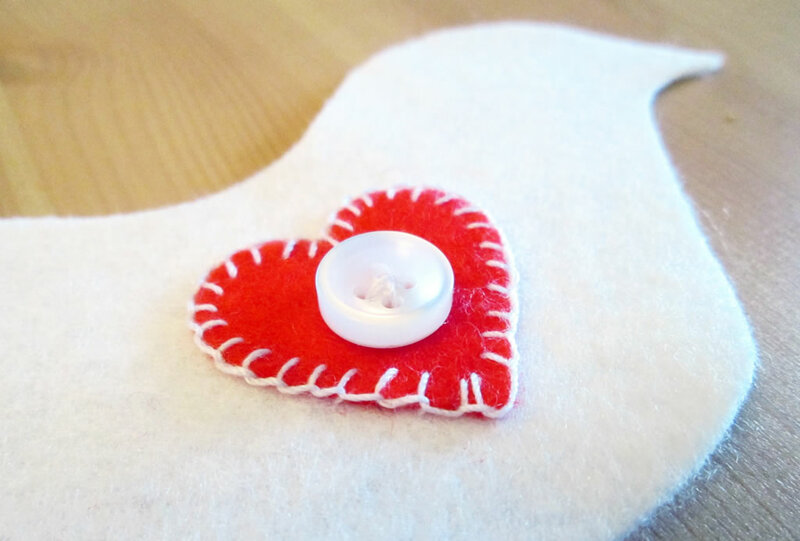 Sew one of the buttons to the centre of the heart. 5. 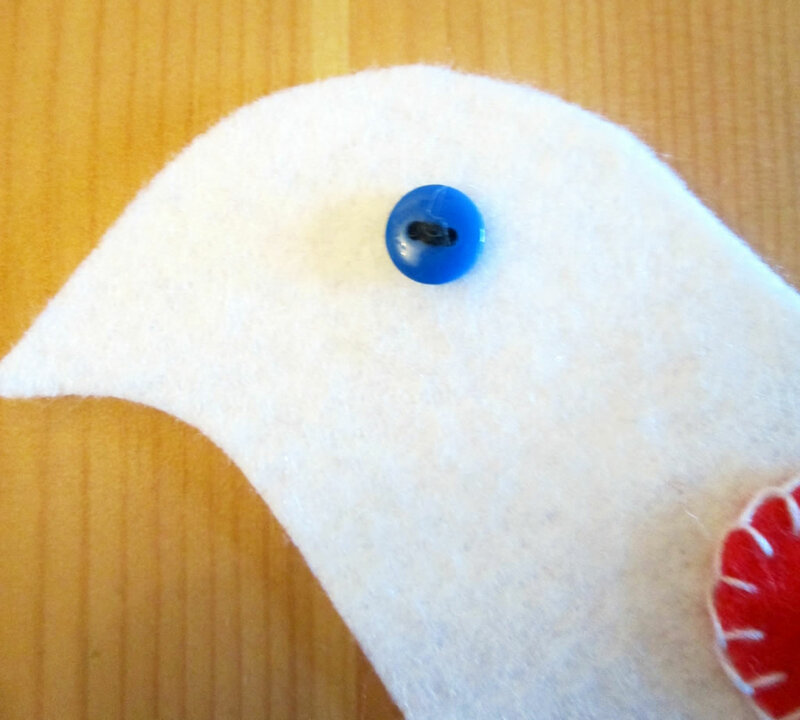 Sew another button to the bird’s head to make an eye. 6. 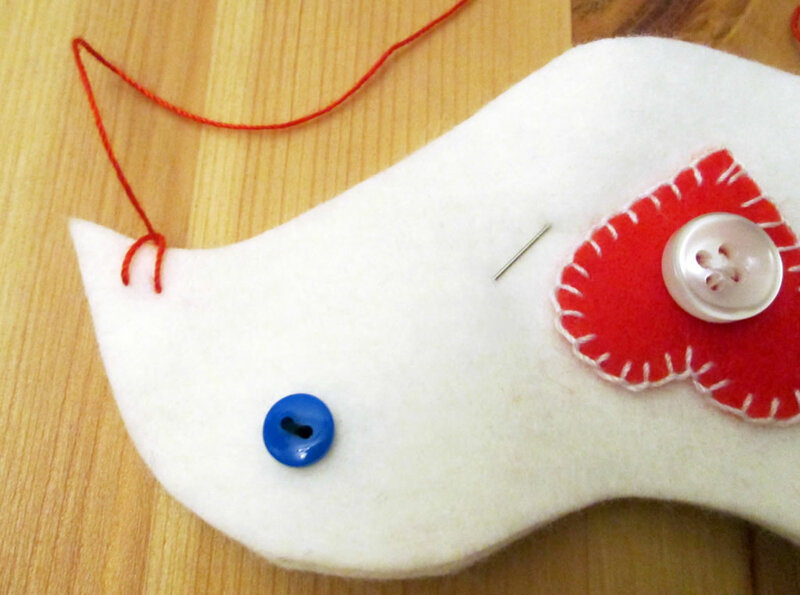 Sew the little heart to the bird’s tail area. 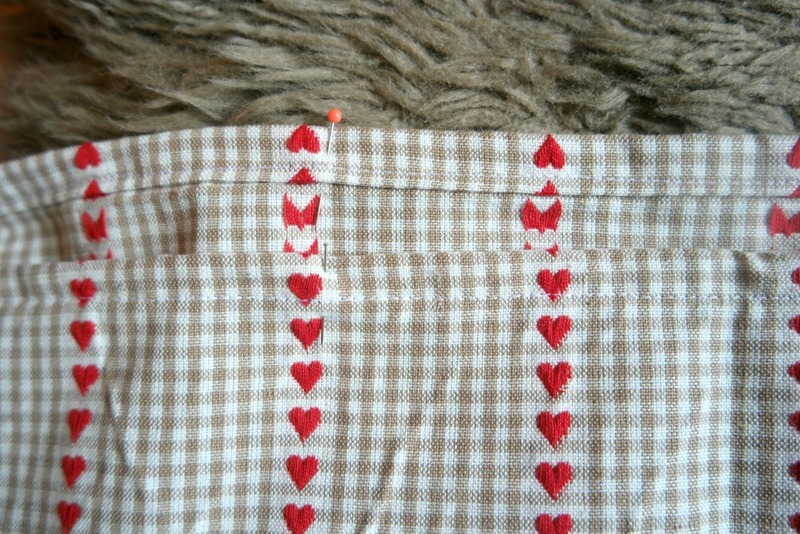 I just used a couple of stitches in the middle of the hearts; doing anything else would have been just too fiddly. 7. Repeat with the other bird, but check that the bird is the other way round before you start! 8. Pin the birds with the wrong sides together. You might want to put a little bit of polyester filling in the middle to give it some shape, but it doesn’t matter if not. I didn’t. 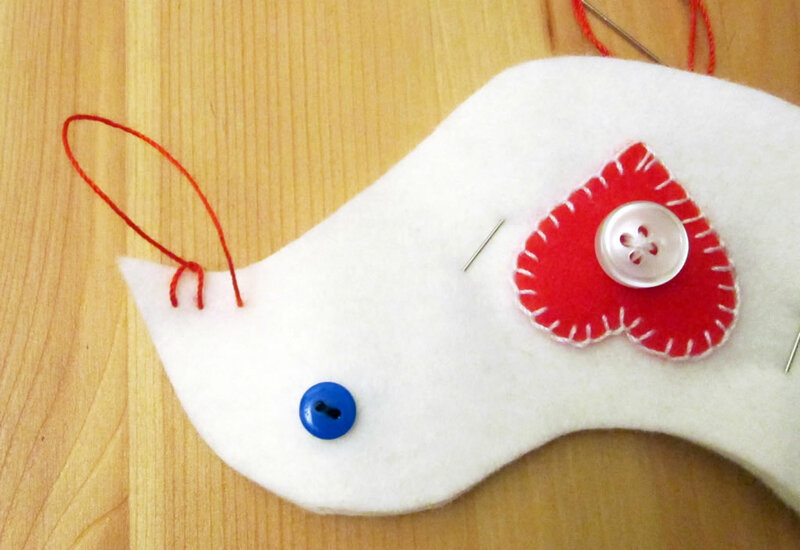 Using blanket stitch in contrasting thread, sew the birds together. 9. Attach a length of ribbon folded in half. 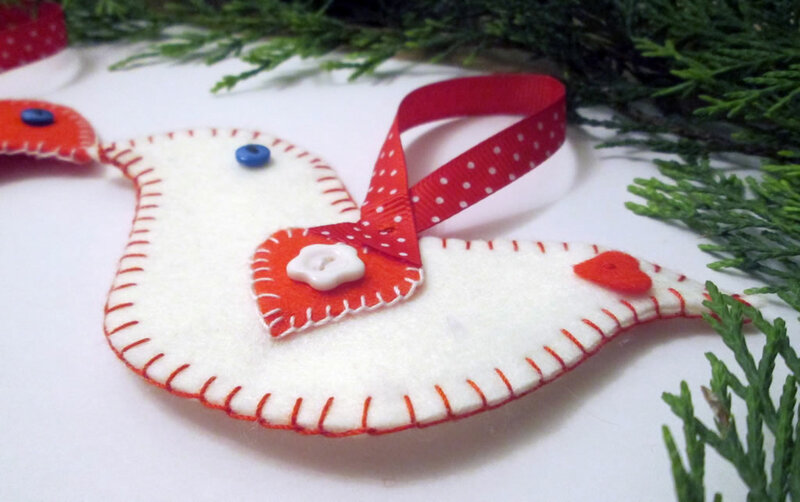 And if you would like to buy a kit to make these birds, you can do so here.